Media center and media presentations can be controlled by Apple remote control, NV Remote II for iPad, iPhone and iPod touch, trackpad, Magic mouse or keyboard. Aperture, iPhoto and Photos App are great applications to organize pictures and videos in albums. And the new Photos App organizes its media additionally by moments, collections and media types. nessMediaCenter offers these structures and media on the left side in the familiar menu structure. Informations like date taken and available geo data (country, place) will be extracted and displayed on the right side below the preview. 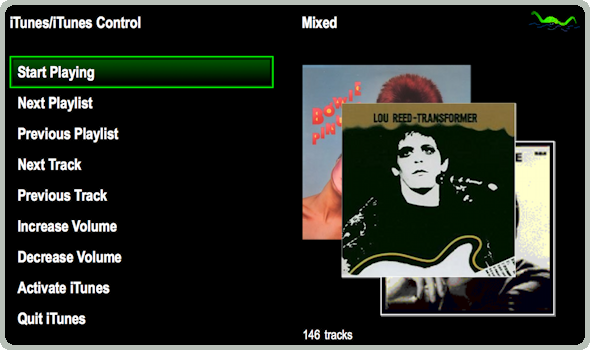 One or multiple entries or single media from different collections can be selected e.g. by remote control and presented continously. The presentation can be easily improved by selecting background music with the iTunes control. During the presentation the current iTunes music will continue to play and video sound will be surpressed. iTunes is the place to organize and enjoy your music. And to buy or rent motion pictures and TV shows. But what to do if you are sitting on your sofa and hearing a song you do not want to listen to anymore? Or you would like to hear another playlist? With nessMediaCenter you can remote control you music: just take the remote control and switch to another song or playlist. With "NV Remote" you can even control the music from another room! 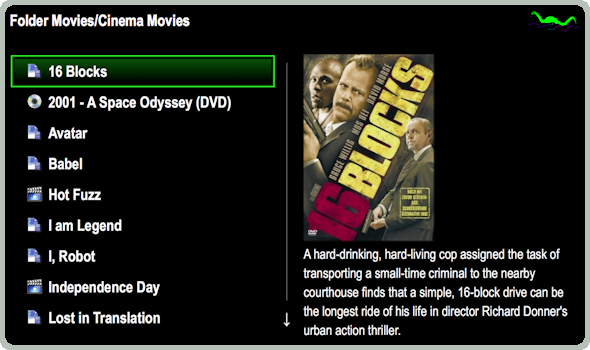 But that is not all: select your (bought or rented) movies, podcasts or TV shows comfortably and watch them in iTunes. During the presentation iTunes can be remote controlled to e.g. pause or rewind the current media. We like media like pictures, DVDs and movies very much. And the way macOS helps us to organize these media. Not all media fits into iPhoto or iTunes. Picture and movie folder is the place for these media. And external volumes the place for hundreds of cinema movies recorded e.g. by EyeTV. 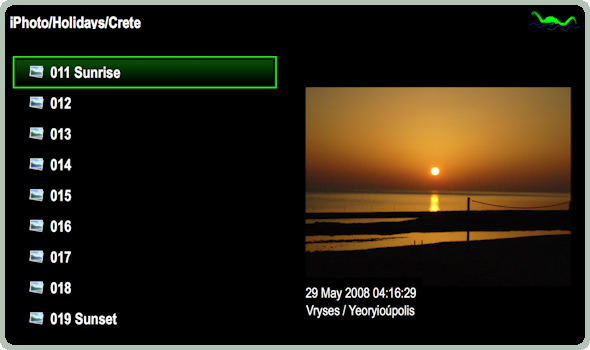 But how to start EyeTV movies which are not in the archive? Or bought motion pictures from the iTunes store which are stored together with other movies in one folder? Or a DVD just inserted into the (external) DVD drive? nessMediaCenter can start your DVDs, EyeTV movies, bought or rented motion pictures & TV shows from the iTunes store (DRM) and QuickTime movies (e.g. AVI, DivX, MOV, MP4, MKV) from wherever they are stored. Aperture, iPhoto or Photos App give access to their media with continuous presentations of pictures & videos. iTunes allows it to (remote) control your music and to present (bought or rented) movies and TV shows. Picture / movie folder and volumes give access to pictures, DVDs, (EyeTV) movies and PDF documents.